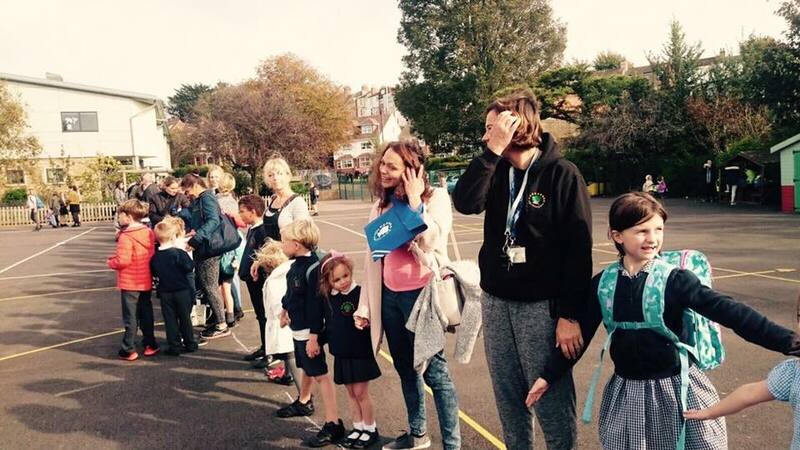 SOS is a rapidly growing parent-led group, based in Brighton and Hove, who are campaigning against the massive funding cuts to education. Heads and teachers have been protesting these cuts and the other damaging changes to our children’s education alone. Now parents are joining them. Together we will stand up for the best possible education for our children. Friends at Balfour and Balfour Primary School have supported the SOS campaign since it started – and we still have the banner outside the school to prove it! For the 2018-2019 academic year Balfour Primary is predicting a shortfall in funding of £400,000! That equates to a loss of almost £10 per pupil per week for the entire academic year!! Consequently, Balfour SOS could do with some more volunteers to help spread the word and support campaigns – if you are interested then please email us with SOS in the subject line. On 28th September, 1000 headteachers will march on Downing St to demand that 8 years of #schoolcuts are reversed . We stand with them. 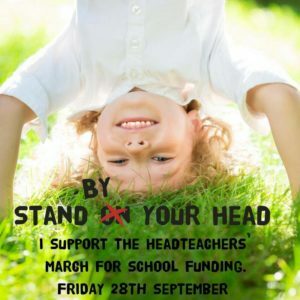 Some school staff have already agreed for us to take pictures of them on their heads and we’ve asked the Governors too. Get the whole family to do a headstand to show your support and take a photo!! Or turn a photo upside down to show support! or email them to us at info@friendsatbalfour.org and we can share them on our Facebook page and with SOS. After school on Wednesday 17th October Balfour Primary will be supporting SOS and their national day of action. Children, parents, school staff, governors, and anyone who cares about children’s education will do the floss dance (or their own version of it!) 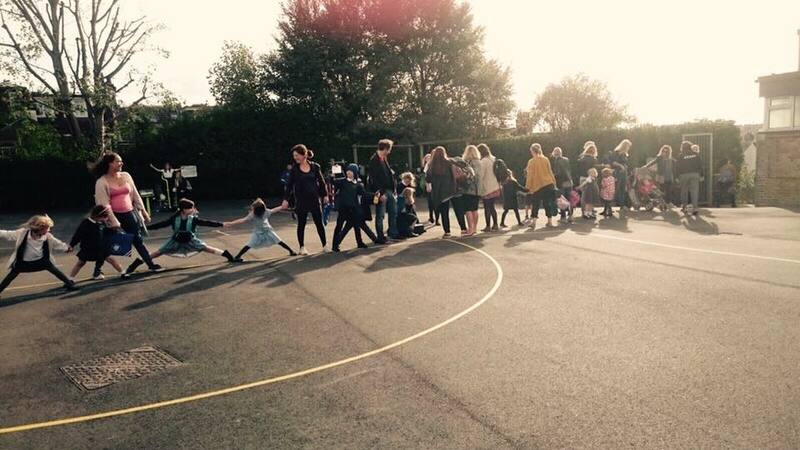 to show they are united in their demand for more funding for schools. For more information please go to the SOS website or follow them on social media. Brighton & Hove gave the government a very loud and clear message during the general election – that the cuts to school funding will be fought tooth and nail by us all in a city united by this cause. As leaders in your organisations you know more than most how much effort everyone has poured into getting our schools succeeding. Everyone has done everything government has asked of them, and how are we rewarded? With deep cuts which will disadvantage an entire generation of school children. I am with you every step of the way on this and I want you to be confident that I will do everything in my power to support you, to support your campaign and to work in Parliament to get the government to change its mind. Thank you for everything you’ve done so far, and I look forward to working with you in the future, Peter.